Welcome to PlayStation LifeStyle’s Trophy Guide for We Happy Few! There are 41 Trophies to be unlocked here. This isn’t an overly difficult Platinum to obtain, but it will be a time consuming one. It is going to take at least two playthroughs to earn the Platinum. One playthrough will require you to not kill a single person and the other needs at least 100 kills. Make sure to save and back up your file often as the technical fidelity of this game is still very poor at the time of writing this. The game crashes often and can corrupt your save file. There are three characters you play as, but they are played throughout one overarching playthrough. Because of this, be sure to make separate manual save files before the points of no return for each character just in case you miss anything. 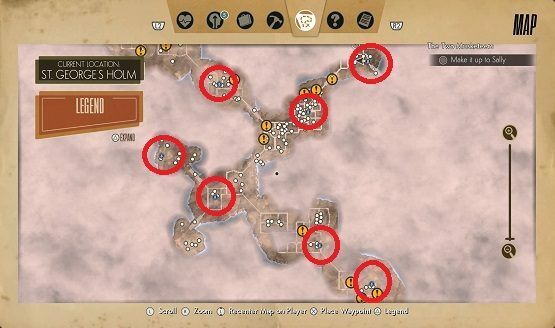 The game will let you know when you are at these points. Spoiler Warning: There are spoilers within this guide. If you’re trying to avoid spoilers, it is recommended that you complete the game before reading any further. Don’t miss our general We Happy Few guide for beginners to learn the ropes without specific Trophy spoilers. Unlock all other We Happy Few trophies. While playing as Arthur, find any vending machine and buy Phlash. As soon as you have it, equip it in a quick slot, select it and hold L1 to use it. Kill 100 NPCs in a single playthrough. Trophy description says it all. Kill 100 NPCs in one playthrough. Every NPC can be enemy, so it doesn’t matter who you kill. Some weapons will only knock them out unconcious. Be sure to check their status to make sure it says “deceased.” Just looking at the body up close will display their status. 100 isn’t a lot as there are many NPCs to be found. You can keep track of your kills in the Notes section under the “Statistics” note. Listen to all the phone calls in the phoneboxes. This Trophy was earned with Arthur. There are phones all over the map that will receive the calls. You’ll hear it ringing and all you have to do is press Square to listen to the call. There are 12 calls to listen to, but you can receive one call per in-game day. It’ll take 12 in-game days to complete this Trophy. Luckily, there is a way to speed this up a bit. First, find a phone near a shelter. Then, run to the phone, answer and listen to the call, fast travel back to the near-by shelter, sleep for 24 hours and then repeat the process. Kill a guy named Ryan Andrews. NOTE: Obviously, this will require killing someone. You will not be able to earn this Trophy on your no murders playthrough. Knocking Andrews unconcious will not unlock the Trophy. This Trophy was earned with Arthur. Ryan Andrews is located in the Haworth Labs research area after the fight with the bobby who flips a desk at you. You’ll be required to go here as part of the story mission “Haworth Labs.” It doesn’t matter how you kill Andrews. I chose to knock him out first and then kill him while he was unconscious. If you want to earn bonus points here, take him out with a wrench, would you kindly. Retrieve the credentials from the club. Finish all of the butcher’s apprentice quests. Complete “Band of Brothers” encounter. Deliver the cod liver oil. Cross into the Village for the first time. Set foot on every island. This Trophy will unlock as you play through the story. Story missions will require you to travel to every island. This will unlock when you travel to Ratholm during Sally’s story. Finish Mystery House without being spotted once. This Trophy was earned with Arthur. This can be earned during the side mission “Mystery House” in Lud’s Holm. There are a couple of things before you can start the mission. You’ll need Histoplasma and it’ll have to be night time. Make sure you’re crouched and carefully sneak through the house. Take down anyone that you encounter along the way inside. Make a manual save before entering the house just in case you are spotted. Do not use your weapons as that will set off an alert. Just stick to the stealth takedowns. All you need to do is get to the top floor and take out the Priest. In Thomasina House – Collect all fake cats. This Trophy was earned with Arthur. Before you can unlock the Thomasina House, you’ll need to complete the “Golden Oldies” side quest that is found in Maidenholm. Once you’re inside the Thomasina House, you’ll be looking for six cat statues. Only five of them are fake, and those are the ones you need for this Trophy. The Trophy actually popped for me at four, so, you may not even need to find them all. They aren’t very difficult to find, and you can sneak through the house or kill everyone. That will not affect the Trophy. Unlock all of Arthur’s shelters. 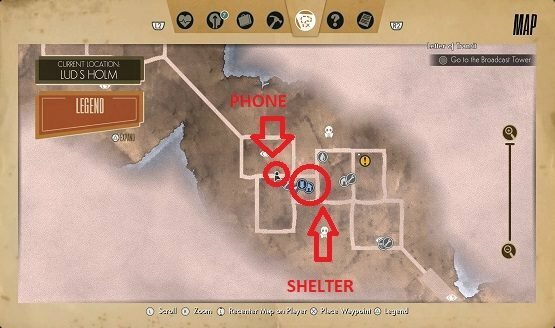 As you explore the map, you’ll come across different safe house locations that also act as fast travel points. This Trophy unlocked for me after unlocking seven different shelters. In order to unlock them, you have to find and climb down the hatch that will lead into the shelter. Once inside, some of them will have an objective to complete in order to clear the shelter. After completing the objective, you’ll also have to turn on the power and then the shelter will be unlocked. Contract and cure the plague. This Trophy was earned with Arthur. In order to earn this Trophy, you’ll need to contract the plague from someone that already has it. You can do this by letting an infected person hit you. It’ll take a few hits before you contract it, so make sure you’re stocked up on health items. In order to cure the plague, you’ll need a Phenocycline Jab. The Phenocycline can be looted off of bobbies, so make sure to keep an eye out for it as you’re playing. Now, let the infected hit you until a message pops up alerting you that you’ve been infected. Go into your inventory and use a Phenocycline Jab, and you’re all cured. Infected enemies can be found in the country sides outside of the towns. I unlocked the Trophy during the story mission “A Malpractice of Doctors.” After you’re caught, you’ll eventually need to escape and there will be infected running around the building released from their cells. Complete the entire game without directly murdering anyone. Pretty self explanatory here, finish the entire story without killing anyone. This actually isn’t as hard as it may sound. You’re going to want to play more stealthily. Sneaking around will help lower the amounts of fights you’ll get in. If you do find yourself in a fight, you have some options. Use non-lethal means to win the fight. Things like your fists, the Sleeptite Atomizer or the Electric Truncheon will defeat enemies without killing them. Or, you can just run from the fight altogether. You can look at any enemies you’ve defeated to check their status. As long as it says “unconscious,” you’re good to go. You can also check your stats from the “Notes” section of the Touchpad menu to see if anyone has been killed. Also, be sure to manually save your game often. We Happy Few has a tendency to crash, so you don’t want to lose any progress. This will also be useful in case you accidentally kill anyone. You can reload your save and try again. Gain £1000 from looting/bartering across playthroughs. As you play through the game, you’ll be looting for supplies in order to survive the world of We Happy Few. Occasionally, you’ll find some money. However, money isn’t that common via looting, so you’ll want to sell extra gear to merchants to speed this Trophy up. If you don’t want to sell your things permanently, make a manual save, sell everything you have, get the Trophy and then reload your save from the main menu. You can keep track of how much money you’ve collected in the Notes section under the “Statistics” note. This Trophy is accumulated across all three different characters. This Trophy was earned with Arthur. Find any bed, hold Square, and sleep for 24 hours. Repeat this 49 more times and the Trophy will pop. There is no loading, so this will only take a few minutes to complete. Die while overdosing on Joy. This Trophy was earned with Arthur. This Trophy can be earned right after you leave the rehabilitation center. Right outside of the center is a Joy Booth. Just go in the booth and take Joy until a message pops up saying you’ve overdosed. Once you’ve overdosed, run straight from the Booth to the fields and jump off of the cliff. There are 88 collectibles to be found and they can be viewed in the “Theater” section of the main menu. Forty-four of the collectibles are Uncle Jack shows, and those are covered under the “You Do Know Jack” Trophy below. The other 44 are collectible golden masks that are found across all three character playthroughs. They aren’t too hard to find if you’re exploring the map thoroughly. They’re found in houses, story missions, shelters, and out in the open fields between the towns. Collect all Uncle Jack Shows. There are 44 Uncle Jack Shows to collect. Collecting them means just watching them. They’ll be playing on TVs throughout the day and night. Only some of the TVs inside of houses seem to count toward the progress for this. The TVs that are hanging outside off of buildings are all counted. If you can find a TV that counts inside a house, sleep for a few hours, check the TV to get the show and then sleep again. You can repeat that process to quickly earn them all. When a show is on, stop and watch it for a couple of seconds to collect it. A message will pop up in the bottom left hand corner of the screen letting you know that you’ve collected the show. If a show isn’t registering, turn the TV off and then quickly back on. You can keep track of your progress in the “Theater” section of the Main Menu. The showtimes are 7 am, 12 pm, 4 pm, 7:30 pm, and 10:30 pm. Take the Joy at the very beginning of the game. This Trophy can be earned at the very beginning of the game. The game will open up with a cutscene, and your very first option will be to take the Joy or not. Hold Triangle to take the pills. Read all newspaper articles as Arthur, and redact only the uncomfortable ones. Right after throwing the Joy pills on the ground at the beginning of the game, you’ll be checking newspapers. Approve the first newspaper, redact the second newspaper, and approve the third newspaper. Correctly sabotage Clive Birtwhistle’s redactor work. This Trophy was earned with Arthur. This Trophy can be earned right after “Employee of the Month” at the beginning of the game. After you’ve finished censoring the three newspapers, get up and walk out of your office. Turn right and the first door on the right will be Clive’s office. Sit down at his desk and approve the first newspaper, redact the second newspaper, and redact the third newspaper. Find all notes related to Prudence. There are only six different notes to find to unlock this Trophy and they stretch across multiple characters. You can check how many you have by looking the “Notes” section of the Touchpad menu. The Diary of Prudence Holmes – Barrow Holm Shelter in the bathroom. Mr. Kite’s Instructions – Barrow Holm Hamlet House on a table on the bottom floor. Damp Diary – Maidenholm Shelter on a desk. By The Time You Read This – Victoria’s House in the bathroom. Whereabouts of Prudence Holmes – The blower in Victoria’s House. Unsettling Articles – on a desk right after getting off of the elevator in the Parade Broadcast Tower. Talk to Johnny Bolton from the Secret Radio Room. This Trophy was earned with Arthur. This Trophy can be earned in the side quest “Old Soldiers.” The opportunity to unlock it will be during the final objective of the side quest “Find Footlocker.” Climb up the ladder in the fireplace and interact with the radio on the desk before searching the footlocker. Knock out 50 NPCs with the Atomizer. This Trophy was earned with Sally. This will take a lot of crafting and looting to get all of the required components. First, you will need to find an Atomizer. they aren’t too hard to find, but it will take some looting and searching to find one. You’ll more than likely come across one as you’re playing through the story. Next, you will need to craft Sleeptite. Combine the two and you’ll have the weapon. All you need to do now is knock people out. If you’re seen using the weapon, you’ll be attacked. One spray will be enough to knock someone out. Complete speaking with Verloc at the Joy Factory. Catch 40 butterflies with Sally’s butterfly net. The butterfly net will be given to you by the witches after completing their questline (The Wyrd Sisters). You will need to catch 10 butterflies in the story mission “Ex Cathedra.” There are twelve in the mission area, and the rest can be found in the fields of Lud’s Holm. Inject yourself with glucose 10 times. This Trophy will be earned with Ollie. There will be a blood sugar meter while playing as Ollie. You’ll need to give yourself glucose injections before it starts to lower your health. This is an integral part of playing as Ollie, so this will be earned over time as you play. Use 25 lightning rods, playing as Ollie. All you have to do is craft one lightning rod. Equip it and set it down. If you hear a clank noise, its been set. Pick it up and set it again. Repeat this 25 times and the Trophy will pop. You do not need 25 different rods; reusing the same one will work. Complete “No Place Like Home” encounter. Complete “The Jack-o-Bean Club” encounter.